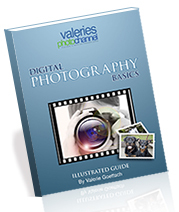 There are many great books about digital photography for camera enthusiasts of all levels. In fact there are so many, it can be hard to choose which one. So I compiled this list of my favorite books to help you learn and improve your photography. I’ll start with the best, must-read books for beginners and move on to recommendations for more advanced shooters as well as special topics including HDR, Landscape and Portraits. I’ve included the top selling, best reviewed photography books. Having said that, if there is a book you find valuable that I don’t have on this list, please leave me a note in the comments with what you especially like about it so I can check it out. Below are my recommendations for the best digital photography books for beginners. These books are popular, well-reviewed, well organized and easy to understand, and they’re written by some of the most well-respected photographers/authors in the industry, including Scott Kelby, Tony Northrup, Michael Freeman and others. Scott Kelby’s best-selling book is full of tips and real world examples. It’s an easy read without a lot of technical jargon or theory. He gives you the exact how-to on what you need to do to achieve your shot. Readers love Scott’s friendly, engaging style. He tells you how to get a great photo and what settings to use. This is not a book with lots of technical information and theory. It’s perfect for beginners to learn how to quickly improve their photos. This book, from one of my favorite photographer/trainers, is like a self-paced photography class. It starts with the basics and goes on to advanced techniques. It’s hands-on with an additional 9+ hours of online video training, private forums. For both beginners and advanced photographers. Good book for newbies written in layman’s terms, with the basics of lighting and how your camera features affect exposure. Jeff has detailed explanations of different photo situations and lighting and how to get the correct settings on your camera. There are assignments at the end of each chapter to help you practice the techniques. Freeman’s best selling book on design and composition helps photographers develop an eye for making better photos. This is not a “how to” book on what camera settings to use, rather it helps you understand good composition and how to design your image in the viewfinder. Written for all levels, this ebook is for anyone who wants to understand the principals of composition and develop a photographer’s eye. It’s organized in 20 easy-to-read, beautifully illustrated lessons plus two case studies. Each chapter can be treated as a standalone exercise. Examples: how to see in black & white, how to create illusion of depth, using tonal contrast, how focal length affects composition. Also check out Andrew’s blog for more composition tips and Lightroom tutorials. Perfect for newbies who want to learn the fundamentals, this book offers a thorough explanation of camera settings and their effects plus 20 assignments. For point and shoot and DSLR users. While I recommend you also read Parts 1-4, don’t miss Part 5. Scott gives you the photo “recipes” to help you get your shot. He gives you a “behind the scenes” at how the shot was set up so you will know exactly how to do it. He also gives you the camera settings and lighting info, the “why” behind everything, and his post-processing techniques in Photoshop and Lightroom. One of the best books on HDR. Harold Davis covers the entire workflow from finding the best types of subjects for HDR, taking multiple exposures, and how to process them. He shows you how to control the style so you can make your images look more surreal or more “real.” He covers many different methods for capturing high dynamic range with detailed screen shots. “RC” Concepcion, co-host of Photoshop User TV, gives you a full-blown workshop. You get 10 projects shot with everything from a point and shoot to a medium-format camera. You will learn how the lighting, subject and environment influence what kind of post-processing the image will need to achieve your desired look. This complete guide (659 pages) is considered the HDR Bible.It covers both theoretical and practical application though dozens of detailed tutorials. You’ll learn camera settings, how to get the best images for merging in HDR, reviews of different software for HDR, the whole workflow process, tips, cheat sheets and even HDR panoramas. Rob Sheppard has written 30+ books, many on landscape photography. In this one geared for beginners, he’s straightforward, non-technical and provides lots of tips and real-world examples. He’s got a nonn-intimitating style that will help newbies understand the basics of composition, light and perspective. It’s nicely illustrated with large photos . Best selling author and landscape photographer Harold Davis shows you creative use of lighting, texture and composition, how to choose the right equipment, how to find the right location and be there at the right time. He encourages you to try new techniques and get more creative. This is not a technical or how-to book, it’s more an “idea”book, beautifully illustrated with his own images. Frye uses his own images to show how Ansel Adams created his photos. You will see how Adam’s dodging and burning and other darkroom techniques translate into our digital world. The concept of the Zone System regarding lighting is well covered. I recommend this book for intermediate photographers, it is may be rather complex for newbies. This bestseller is written for hobbyists and pros and covers settings, sharpness, field techniques, proper equipment, using filters, getting the correct exposure, composition and how to recognize and find great shooting scenes. 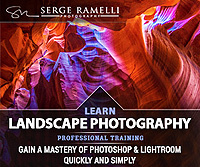 This is an extremely practical guide for getting professional looking landscape images and Tim’s images are gorgeous inspiration. This compact book for beginners is easy to throw in your camera bag, but it’s not light on information. Especially valuable are the exposure value chart and the hyper focal distance chart. This book is a detailed, user-friendly guide for for anyone who wants to learn how to capture the night sky. In his 160-page e-book (or paperback), pro photographer Grant Collier shares his specialized techniques for capturing the night skies, including how to take photos of northern lights, eclipses, star trails, lightening, the Milky Way, light painting, and more. Amply illustrated with his own dazzling night images, he covers recommended equipment, how to plan your shoot using free software that shows how the night sky will look in any location and time, how to capture and process images, including post processing techniques important to night photography, blending exposures, stitching images and a lot more. This book is well written with an amazing amount of detail. It’s best suited for folks who already have a basic understanding of shooting in manual mode and familiarity with Lightroom or Adobe Camera Raw and Photoshop. You can also buy a 7+hour instructional video to use in conjunction with the book. Wildflower Photography by Steve Berardi – Photographer/naturalist Steve Berardi’s comprehensive guide to photographing wildflowers, from getting the shot through post-processing in Photoshop, plus a helpful suggested equipment list. Also check out his Learn By Example guide, taking you through a series of images and how they were created. In this #1 best seller , learn how to get great shots in spite of cluttered backgrounds and people who don’t know how to pose. It’s more of an artistic approach rather than a technical book. You’ll get lots of tips on composition and trying to see the geometry of a scene. This book is well organized and covers a lot of topics, including assignments at the end of each chapter that progressively build on what you are learning. Highly recommended. It’s not a book on wedding photography, although the author is a wedding photographer and he shares his techniques. Another excellent book from Robert Valenzuela. Here he breaks down all the components of posing and what makes a pose work or fail. He gives you excellent descriptions and helps you understand the “why.” He does a great job of explaining complex ideas in a way that the average person can understand. I recommend this for anyone interested in portrait photography. Neil van Niekerk shows you seven different lighting situations ranging from available light to off-and on-camera flash and harsh sunlight, to teach you how to control the quality and direction of light, subject positioning and other variables. In addition to detailed information, he gives you lots of images and diagrams, plus 10 real world exercises. A solid and practical guide for beginners and enthusiasts. This book covers a six-step process to help you take better portraits. It covers equipment for both studio and location shoots, posing strategies for men, women and children, and how to manipulate the lighting to create consistent, excellent results. Bill Israelson provides numerous images for examples, as well as technical illustrations. Good book for beginners through advanced hobbyists. Christopher Grey is a pro at lighting. In his concise, very readable book he guides you through portrait lighting from start to finish. He discusses the properties and qualities of light, professional lighting equipment as well as what you can make at home, and lots of examples of lighting setups and how to achieve them. 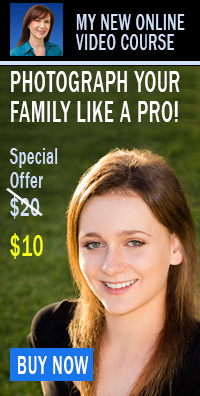 You will learn about key lights, hair lights, softboxes, umbrellas, light ratios and more. Ideal for intermediate and advanced photographers. Chock full of simple, creative ideas for those who want to develop their portrait photography skills. Erik Valind, a KelbyOne instructor, gives you detailed descriptions and lots of visual examples. He covers choosing the right equipment, lenses and settings, composition, posing, building a rapport with your subject, lighting challenges, when and how to use flash, and examples of different types of portrait setups. There are many great photography books, so if I’ve missed your favorite, tell me about it below so I can check it out for my list. I’ve also got lists of the top Adobe Photoshop and Lightroom books. Great list – thank you so much for putting this together. Thanks Andy. If you have any book suggestions feel free to add them here in the comments.